In a horrible tragedy in Chiquimula in Guatemala, a teenage boy has been shot dead while his cousin was badly wounded. Jerson Lopez de Leon has been reported by a number of sources, including the Daily Mirror, as being "shot dead after breaking into a house while playing Pokemon Go". This is in fact not the case. As reported by the Independent the pair were walking alongside a railway line while playing and according to site Prensa Libre the crime was perpetrated by men riding on a farm truck who fled after committing the attack. This is the quote as it currently appears on The Daily Mirror's site. Jerson's mother says he left the house after he was meant to be in bed and his cousin had asked him to go out to play the game. The attack was apparently unprovoked and while utterly tragic, the game's involvement has little to do with the events that unfolded here. In the seas of headlines around Pokemon Go, it's important to differentiate between the app being the direct cause of a tragedy such as this one or merely involved. 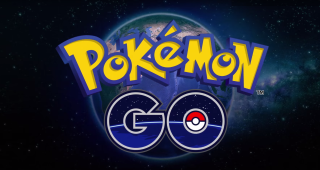 Headlines and falsities such as "Pokemon Go causes its first death" are dangerous and those who don't understand the app - players know that there is no need to trespass on property to play - will immediate demonise its use. This is a senseless act of crime but Pokemon Go seems to have had very little to do with its motives.